Aug 11, 2016 in "The Royal Welcome of Princess Elena of Avalor"
Disney today welcomed a new princess to the Magic Kingdom - Princess Elena of Avalor. 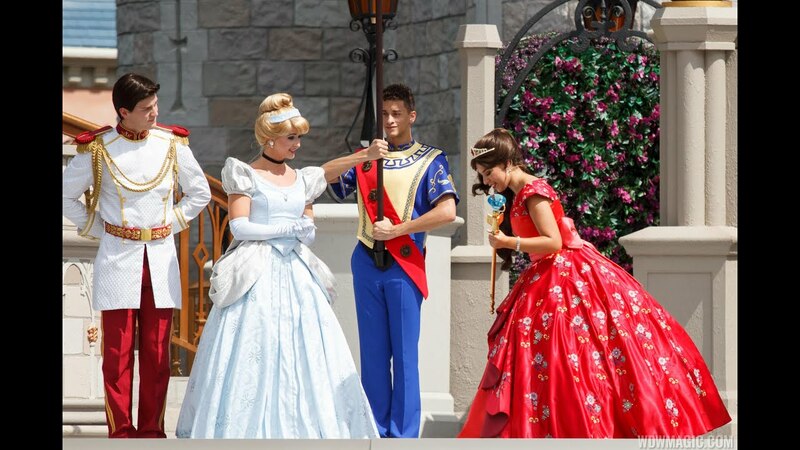 Elena, who appears in the Disney Channel series “Elena of Avalor,” will be appearing on the Cinderella Castle Stage for a limited time in a brief show - "The Royal Welcome of Princess Elena of Avalor." Show times are 9:05am, 10am, 12:20pm, 1:35pm, starting August 12 2016. Check out the video below for the very first appearance of Elena at Walt Disney World. The new castle show, Mickey's Royal Friendship Faire, continues to perform as normal.